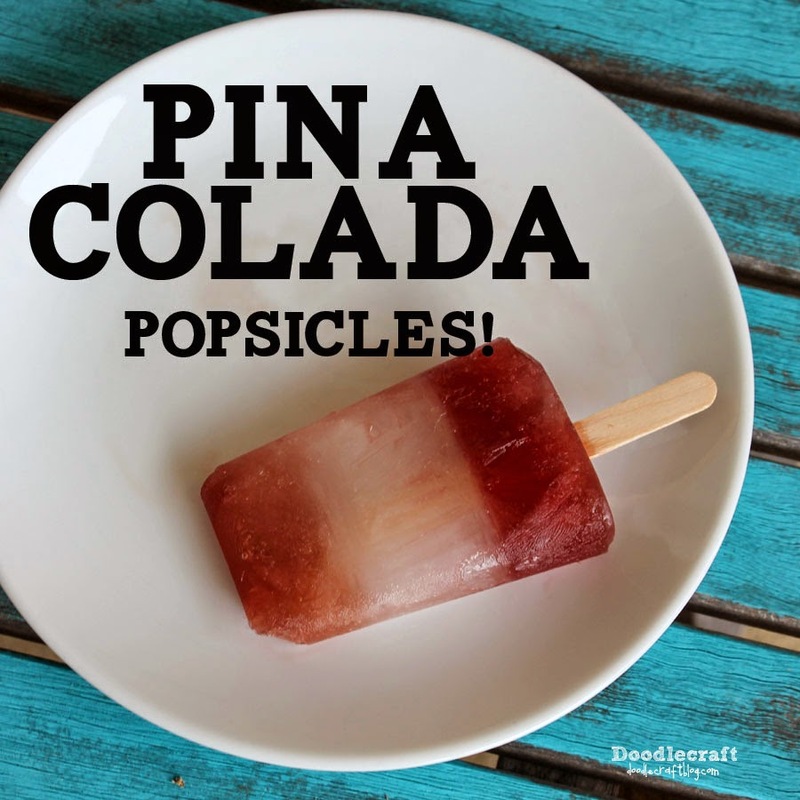 Doodlecraft: Pina Colada Layered Popsicles! Pina Colada Layered Juice Popsicles! These layered juice popsicles are so yummy! They'd be so pretty Red, White and Blue too! The secret is Pina Colada Sobe. Popsicle molds or small paper cups. Fill 1/3 full of first juice and freeze until solid. Then add 1/3 of the Pina Colada Sobe. And insert a Popsicle stick in the center of each one. Freeze until solid. About 4-6 hours. Then fill the remaining mold with the last flavor of juice!